Stuff, things, doo-dahs and other miscellaneous items, here you'll find a right old mix of products from our eclectic range of gifts that just didn't fit in another section! 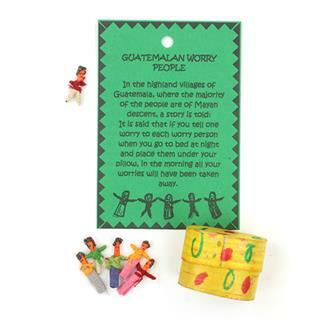 Including handmade Balinese kites, Peruvian finger puppets, ornate Thai parasols and Guatemalan hacky sacks. 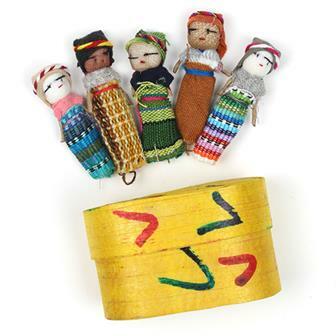 Fantastically fun, small hand made finger puppets from Peru. Kids love these bright, colourful little fellows. We have a huge range of animals to choose from, please request preference at time of ordering and we will try our best. 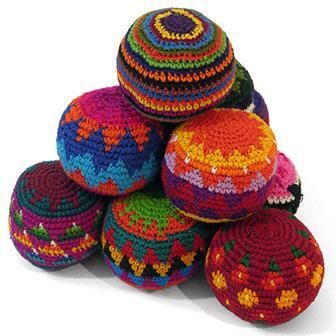 Cotton hand crocheted Haki (Hacky) sacks from Guatemala in a huge mixture of vibrant colours and patterns. 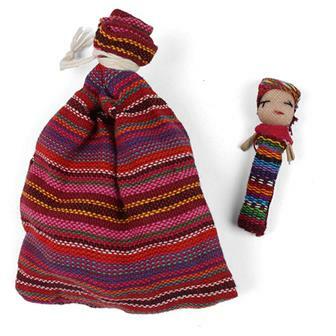 The sacks are filled with just the right amount of recycled plastic pellet shaped beads. 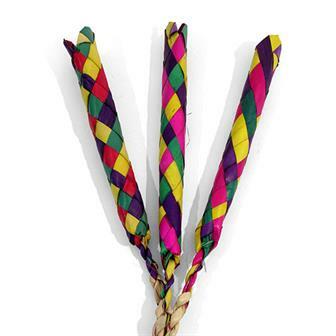 They are ideal for anyone who is starting to learn to juggle, great as stress relief aids and of course essential for a good game of Hacky. 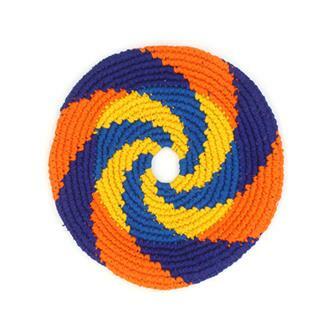 Available in a massive mix of psychedelic colour styles, these fantastic flying discs are handmade in Guatemala. Fold one up and stick it in your pocket for a summery spin in the park and see how amazingly well they fly! Very similar to Chinese finger traps, these traditional finger pulls are known in Mexico as "atrapa-novios" or boyfriend catchers. Supposedly, girls would trick boys into putting their fingers inside, trapping them into becoming their boyfriend. We won't be held responsible if you get trapped! 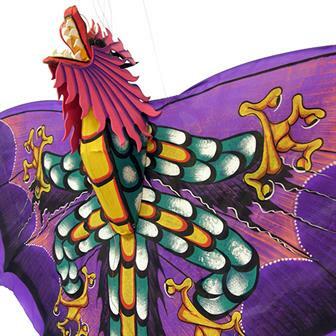 Hand painted, Balinese made dragon kite in bright vibrant colours. This item comes with a wooden handle and twine. Kite making and flying in Bali has a long history and often has spiritual connections. At an annual festival, villages will make giant kites and compete with them. 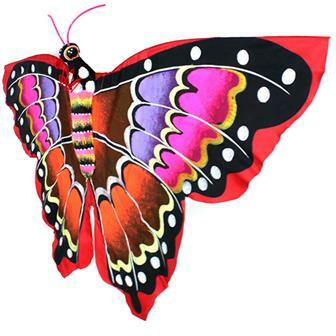 Hand painted, Balinese made butterfly kite in bright vibrant colours. This item comes with a wooden handle and twine. Kite making and flying in Bali has a long history and often has spiritual connections. 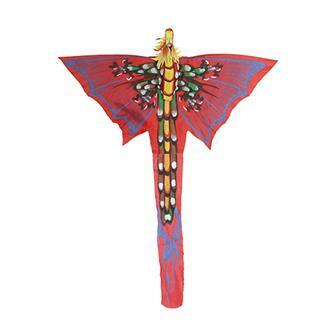 Large, hand painted, Balinese made dragon kite in bright vibrant colours. This item comes with a wooden handle and twine. Kite making and flying in Bali has a long history and often has spiritual connections. At an annual festival, villages will make giant kites and compete with them. 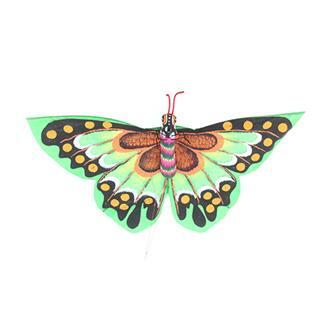 Large, hand painted, Balinese made butterfly kite in bright vibrant colours. This item comes with a wooden handle and twine. Kite making and flying in Bali has a long history and often has spiritual connections. At an annual festival on the island, villages will make giant kites and then gather together to compete with them. 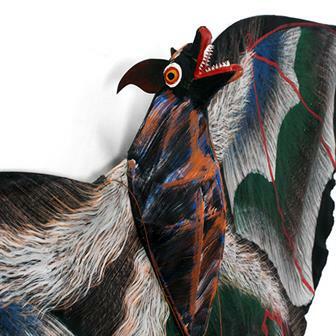 Large, hand painted, Balinese made bat kite in dark colours with red highlights. This item comes with a wooden handle and twine. Kite making and flying in Bali has a long history and often has spiritual connections. At an annual festival on the island, villages will make giant kites and then gather together to compete with them. 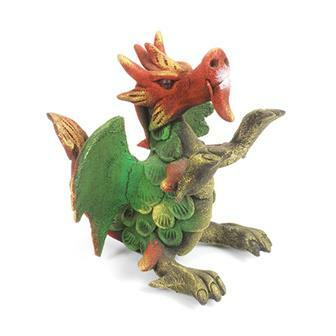 These stunning little dragons are made from a clever mix of waste sawdust and latex that has been carefully shaped around a wire frame and decorated by hand. The artist has shown amazing skill by creating intricate design with such fragile material. 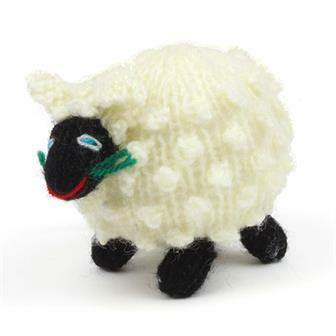 These lovely, soft sheepy sheeps are handmade in Peru. 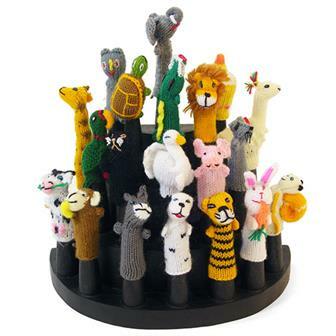 They have wonderful knitted fleeces, friendly little faces and are stuffed with acrylic. 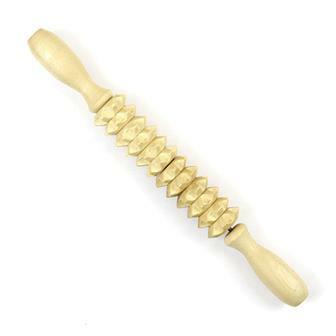 Natural wooden massager consisting of independently moving wooden pieces and handles. 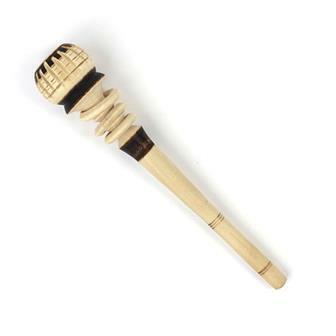 Known as molinillo, these special chocolate whisks are ornately handcarved items that work brilliantly for mixing and frothing up a hot chocolate. They are held between both palms and then rolled back forth. 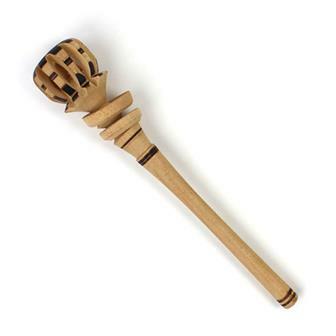 Known as molinillo, these larger special chocolate whisks are ornately handcarved items that work brilliantly for mixing and frothing up a hot chocolate. 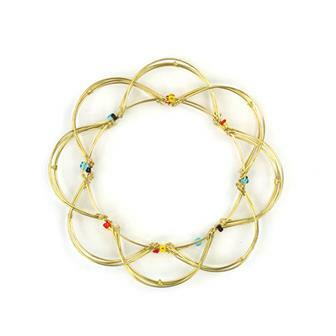 The mandala is a spiritual and ritual symbol in both Buddhism and Hinduism. The mandala puzzle is traditionally used as a meditation tool and it is suggested that by letting your fingers and imagination create intriguing shapes, you may find that it calms nerves and reduces anxiety. Beautiful little hand woven baskets from Mexico. 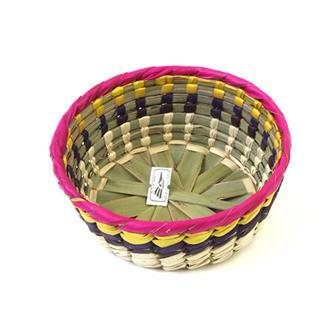 Mexico has a rich and long history of basketry and they are used in many aspects of daily life.